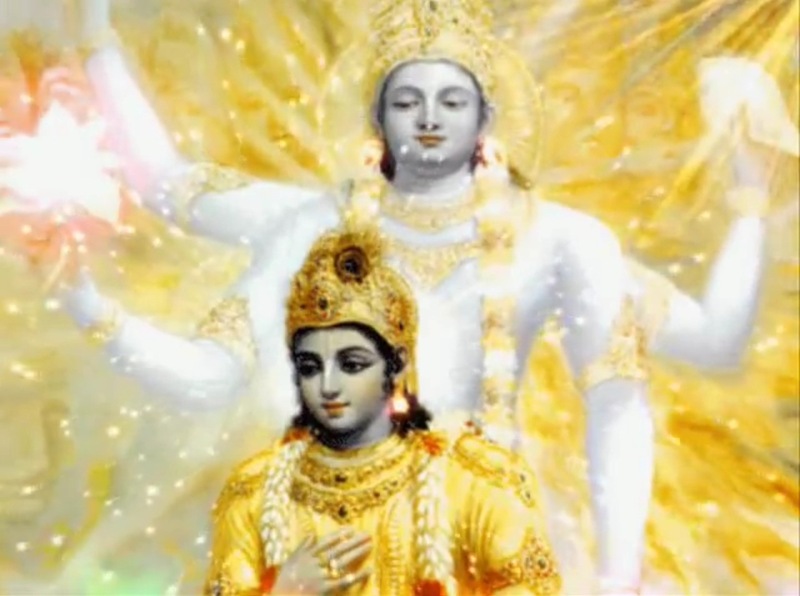 In this Part we will explore the meaning of the 36th Shloka of Sri Vishnu Sahasranamam. Sri Adi Sankara gives 2 meanings for this Nama – ‘Skandati Amrita roopena gacchati Vaayuroopena Shoshayati iti vaa Skandah – He flows like nectar when dealing with his devotees as also dries up his adversaries like the wind hence He is called Skandah’. Skandah also can mean One who melts like butter when it comes to blessing His devotees, or He flows like nectar in the thoughts of His devotees – skandati iti skandah. According to Sri Parasara Bhattar this Nama means one who destroys the Asuras and other evil-doers. 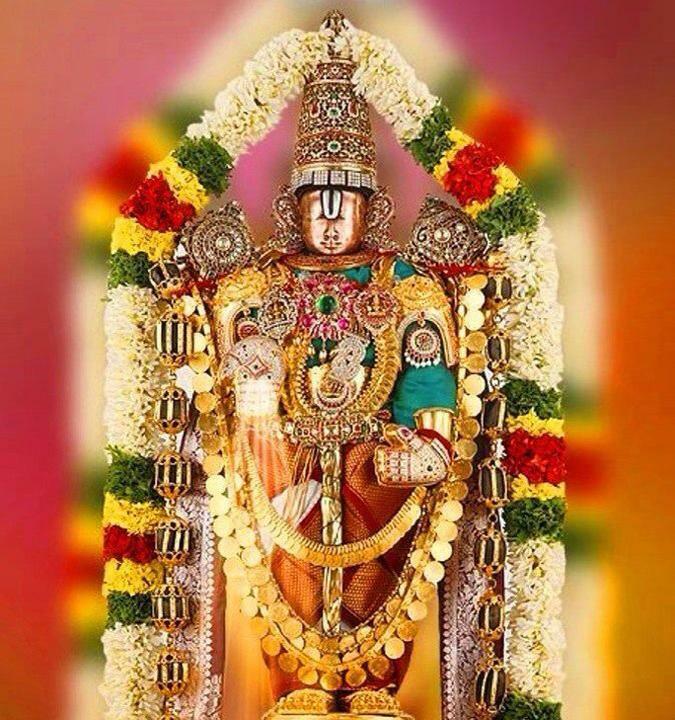 ‘Senaaneenaamaham Skandah – I am Skanda among the chiefs of armies’. Here obviously Skanda refers to Subrahmanya or Kartikeya the son of Lord Shiva, who is considered the foremost among the chief of armies. Skanda also appears in Ramayana as Guha the oarsman who is a great devotee of Lord Rama. According to Sri Adi Sankara this means ‘Skandam Dharmapatham Dhaarayati iti Skandadharah – He supports or upholds the path of Dharma or Righteousness hence He is called Skandadharah’. In future we are going to see the name Dharmee (No 371) amplifyng the same concept. In the Phalashruti we will come across ‘Dharmasya Prabhur Achyutah – He is the Lord of Dharma’. Meaning: Whenever and wherever there is a decline of righteousness (Dharma) and a predominance of unjust and corrupt practices (Adharma) prevail; at that time I manifest myself personally to restore Dharma, O’ Bharata! Sri Parasara Bhattar interprets this Nama as Bhagavan being the supporter of Skanda, the commander-in-chief of the army of gods. The previous citation ‘Senaaneenaamaham Skandah (Bhagavad Gita 10.24) demonstrates that Skanda is a part of Bahagavan’s Vibhuti or glorious manifestation. The word Dhuram means a load. Using this Sri Adi Sankara interprets this name as ‘Dhuram Vahati Samastabhootajanmaadi Lakshanaam iti Dhuryah – He bears the heavy load of creation and protection of all beings. Hence he is called Dhuryah’. Sri Parasara Bhattar gives the further elaboration that He bore the weight of the Mandara mountain in His Kurma (Tortoise) incarnation, and so He is the Supporter. 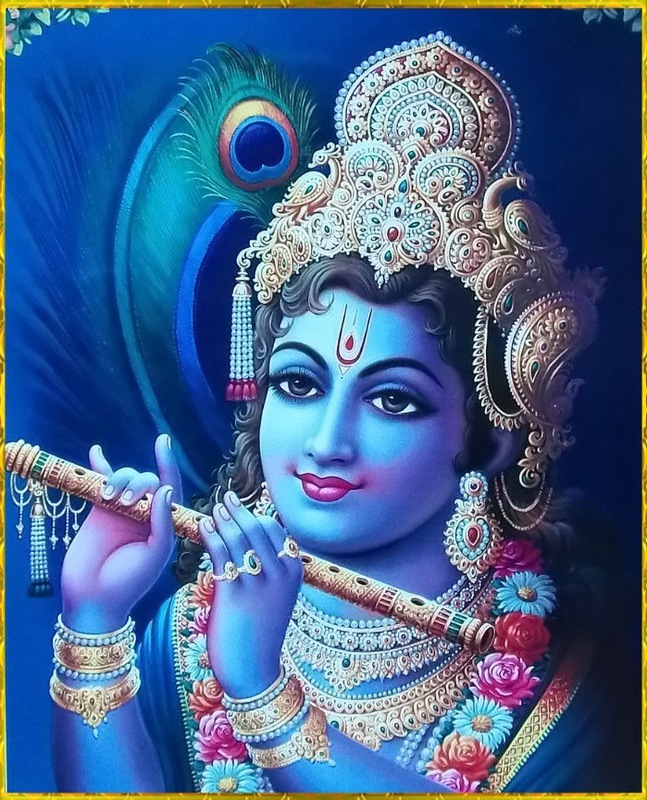 He is also the Supporter of the Universe – Bhuvana-bhrit. Sri Satyadevo Vasishtha gives an alternate meaning for the word “dhur” – the front part of an object, and interprets the name to mean that Bhagavan is Maarga-darshi who shows the path for everyone. This word consists of 2 words Vara meaning a boon and Dah meaning one who gives. Shankara says ‘Abhimataan varaan dadaati iti Varadah – He grants all desired boons to his devotees hence he is called Varadah’. He also gives another meaning ‘Varam gaam Dakshinaam dadaati Yajamaanaroopena iti vaa Varadah – Vara means a cow and He gifts cows to Brahmins as fees or dakshina at the end of the Yagna or Sacrifice in the capacity of the performer of the sacrifice’. VarAh abhIpsitah arthah, tam dadAti iti vara-dah – Varam also means “the best”, and so One who gives the best to those devotees who pray to Him with detachment is Varadah. We have already seen a similar name ‘Siddhidah’ (name 254) where Bhagavan is described as the granter of achievements to the devotees. It gives you status, wealth, eliminates sorrow by demolishing them to the ground. It bestows you with the rule of the sky along with lots of land. It blesses you with strength and all sorts of good things. It does more than what a mother would do to a child. And I found that all good bestowing name, Narayana i.e. Naraynana ennum namam”. The full description of what the devotees get as boons is described in the Phalashruti of Vishnu Sahasranamam. As an example, see ‘Dhamaarthee Praapnuyaat Dharmam Arthaarthee Chaartham Aapnuyaat; Kaamaanavaapnuyaat Kaamee Prajaarthee Chaapnuyaat Prajaam – The seeker of Dharma will obtain Dharma, the Wealth seeker will obtain Wealth, the seeker of Desires will get those Desires and the seeker of Progenies will get Progenies’. Also it should be remembered that when we perform any action the fruit of the action is not to be assumed as a matter of right but only as a Prasada or blessing from Bhagavan who is the fruit giver. This is emphasized by Lord Krishna in the famous verse in the Bhagavad Gita (Chapter 2 Verse 47) – ‘Karmanyeva Adhikaaraste Maa Phaleshu Kadaachana’ – You have the right to perform your prescribed duties but never at any time in their results. 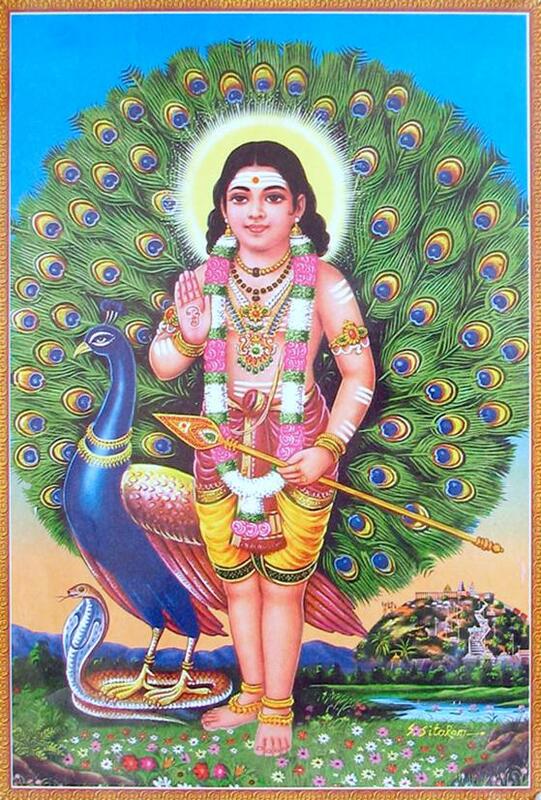 According to Sri Adi Sankara this Nama means ‘Marutah sapta Aavahaadeen Vaahayati iti Vaayuvaahanah – He carries the seven components of Vaayu or the Wind starting from Aavaha’. According to Sri Parasara Bhattar BhagavAn rides on and drives Vayu, the life-breath of the world. In TiruvezhukkURRirukkai, we have – mEdagum aim-perum bhUtamum nIyE – He controls the Pancha bhutas such as air, water, earth etc. Sri Radhakrishna Shastri describes in detail about these seven regions which are controlled by seven different sons of Kashyapa and Diti, because of the powers given to them by Bhagavan. They are called the Sapta-Marutas. They are known by the names Aavaha, Pravaha, Anuvaha, Samvaha, Vivaha, Paraavaha and Parivaha, each controlling different territories of space. These regions are: the space between earth and the clouds, that between the clouds and the sun, that between the sun and the moon, the moon and the stars, the stars and the planets, and the planets and the sapta-rishi manDala. It is said that it is because of the pressure exerted by these regions of air that the various stellar objects keeps them from colliding with each other. Bhagavan gives the motive force to all of them. The Dharma Chakram writer points out that while air is very important for us to live, this Nama should remind us that MahaVishnu, who makes the air move, is just as important to us and thus we should learn to meditate on Him. The next 12 Namas are interpreted by Sri Bhattar as referring to adhyAtma Vasudeva or the Para form of Bhagavan as Vasudeva. Prof. A. SrInivAsa Raghavan notes that coincidentally, the Vasudeva mantra also has 12 aksharas in it viz. ‘Om Namo Bhagavate Vaasudevaya’. 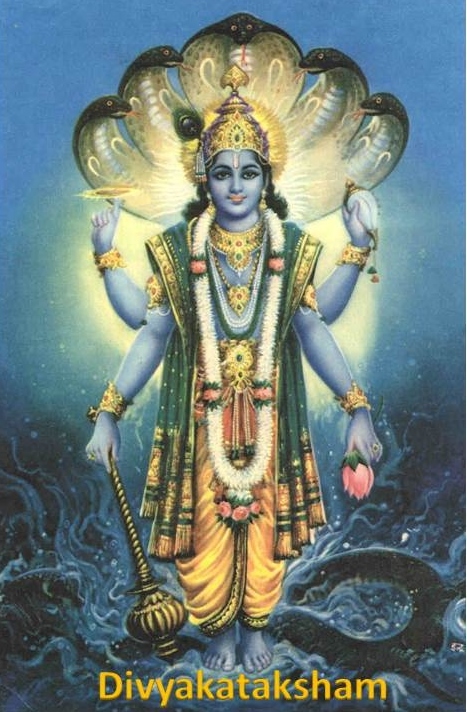 This is one of the most powerful and most popular Namas of Bhagavan Vishnu and unique to MahaVishnu. This is also the renowned Dvadashaakshari or the famous 12 lettered mantra ‘Om Namo Bhagavate Vaasudevaaya’. Being a sacred Mantra it should be learned in detail personally from one’s Guru but we will give the basic meaning here. Vaasudevah is the combination of the 2 words Vaasu and Devah and Bhagavan is both Vaasu and Devah. Sri Adi Sankara describes Vasu as ‘Vasati Vaasayati Aachaadayati Sarvam iti vaa Vaasuh – He lives everywhere and in all beings and also makes all objects and beings reside in him’. In other words He is Vaasu since He lives in the world making it live within Himself like a mother and also protects it by covering it like a bird that protects its young ones with its out-spread wings. Deva is defined as ‘Deevyati Kreedate Vijigeeshate Vyavaharati Dyotate Stooyate Gacchati iti vaa Devah – He plays, He conquers, He is worshipped, He shines or He goes everywhere hence he is Devah’. He is Vaasudevah because he is both Vaasu and Devah (“Vaasushcha Asau Devashcha Vaasudevah”) as described here. It is impressive how much meaning can be compressed into so few letters. This Nama occurs again as Nama 701. Meaning: Like the Sun with his rays, I am covering the whole Universe, and also I am residing in all beings; hence I am called Vasudeva”. Meaning: I am the abode of all beings, and with a divine form I live in all of them. Therefore I am known as Vaasudeva by the yogis who have realised the truth. Meaning: Learned men declare that Bhagavan is called Vaasudeva because He abides in all things, and all things abide in Him. Meaning: All beings remain in the ParamAtman, and He is in all beings; hence the omnipresent is called Vaasudeva”. Sri V.V. Ramanujan points out that Bhagavan got this name also by His incarnation as the son of Vasudeva – ‘Vasudevasya apatyam pumaan Vaasudevah’. The Dharma Chakram writer brings out the subtle point that Bhagavan is in everything and everywhere, and yet successfully conceals Himself from all except His devotees. He successfully conceals Himself while being present in everything as the Sarvavyaapi and Antaryaami. Sri Parasara Bhattar points out that like the Nama Narayana, this Nama is also a secret or rahasyam whose meaning should be learnt from an Acharya. Meaning: He, whose great rays surpass the Sun, Moon, and others, and He who illuminates the Universe through them, is called Brihadbhaanuh. Meaning: All the shining objects of the Universe such as the Sun, the Moon, the Stars, the Lightning and the Fire simply reflect the brilliance of the Bhagavan who is the original source of all light. The Dharma Chakram writer points out that while the Sun gives light to the external world, Bhagavan gives light to the Sun as well as the light needed for us to realise our internal self. 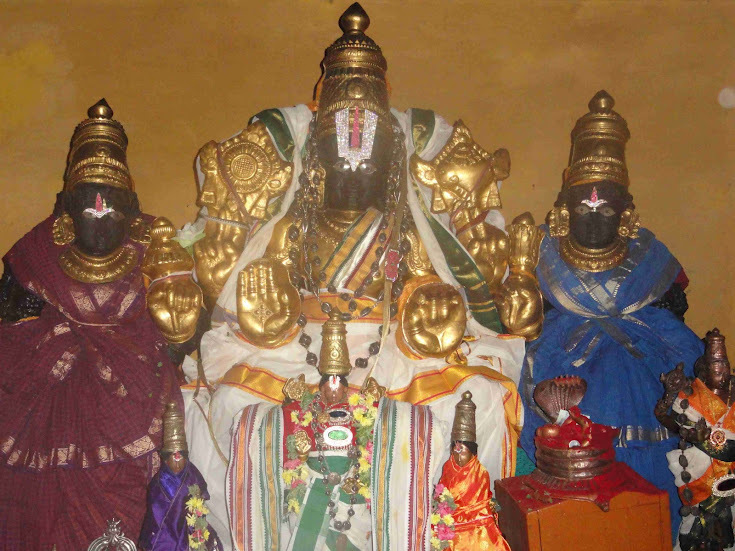 Aadidevah – The First Deity. Sri Adi Sankara interprets Aadi as the first, basic or primary cause of everything. In his words ‘Aadih Kaaranam Sa Chaasau Devashcha iti Aadidevah; Dyotanaadi Gunavaan va Aadidevah – He is the Primary Cause or the Ultimate Cause of Causes. In addition He is Devah because of his brilliance and other divine attributes, hence He is First Deity and called as Aadidevah’. The alternative interpretation is that he is the first or the prime deity. 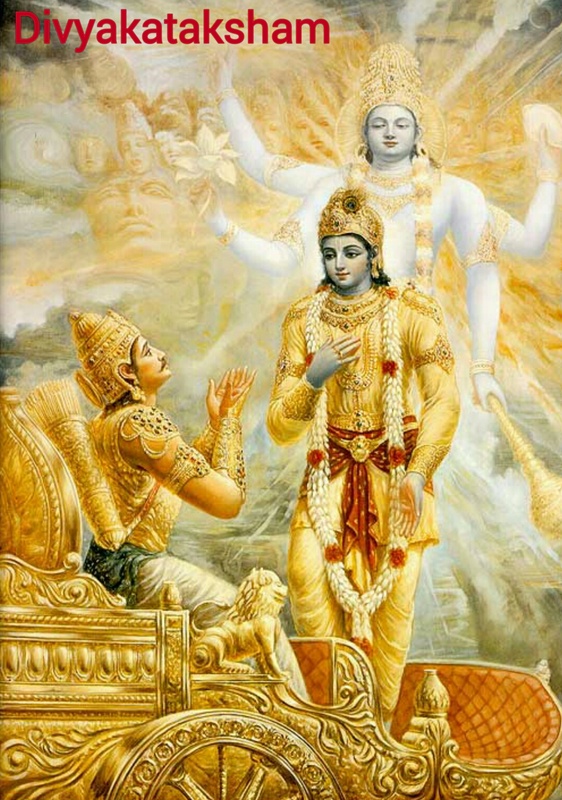 In the Bhagavad Gita (Chapter 8 Verse 9) he is called Puraanam or ancient. ‘Kavim Puraanam Anushaasitaaram – He is the wisest, most ancient and controller of all’. Sri Radhakrishna Shastri gives the definition from Niruktam – “Devo daanaad vaa deepanaad vaa dyotanaad vaa dyusthaano bhavati (7.25) – Deva is one who gives in plenty, one who shines and makes others shine, and one who dwells in space”. Bhagavan is Aadidevah in this sense. That He sports with the world as He pleases is indicated by the Nama Aadidevah. “Akhila bhuvana janma sthema bhangAdi leele” – It is His sport to go through this cycle of creation, protection and destruction. As was seen earlier in “Vaasudevah”, the term Deva refers to His Leela or sport in Creation, Protection, and Destruction of all beings. According to Sri Adi Sankara the name means ‘Surashatroonaam Puraanaam Daaranaat Purandarah – He destroyed the cities of the Asuras hence he is called Purandarah’. SrI Krishnadatta Bharadvaaj gives the explanation- Puraani Sambaraadeenaam Asuraanaam nagaraani Drinaati iti Purandarah. He gives reference to the Rigvedic mantra 7.99.5 – ‘Indraavishnu Drigmhitaa Sambarasya Nava puro Navatimcha Shnathishtham – You have destroyed, thou, Indra, and thou, Vishnu, Sambara’s nine-and-ninety fenced castles’. Sri Parasara Bhattar gives the interpretation (similar to Sankara) ‘asurapurani daarayati iti purandarah – The destroyer of the cities of asuras’. This indicates the removal of fear from all sources which go by the name “Adidaivika” – those that proceed from the gods.in this sense refers to the “dwellings of asuras”. Shri V V Ramanujam interprets this as the aspect of Bhagavan, who as Rudra, and the Cosmic Arrow destroyed the three Asuras in their three cities called the Tripuras and as a result famously known as Tripuraantaka. ‘Puram dArayati iti purandarah’ – In Tripura Samharam, Bhagavan became the arrow for Shiva, and in addition, being the Antaryami for him, helped in the destruction of the three cities. Swami ChinmayAnanda talks of the “cities” referring to the fields of experiences – waking, dream and deep-sleep. Since Bhagavan helps in transcending the Gross, Subtle, and Causal bodies (Sthoola, Sookshma and Kaarana) and then experience the Self, at that moment the three “cities” are burned down or pillaged or blasted. Without overcoming the attachment to the 3 attached bodies, we cannot experience the real Self. Sri Satyadevo Vaasishtha starts with the meaning “body” for the word Pura, and gives the interpretation that since Bhagavan puts an end to the body (being the Samharakarta in the form of Rudrah), He is Purandarah – ‘Puram daarayati iti Purandarah’. Sri Radhakrishna Shastri points out that the term puram is also used to refer to the three Sarira-s viz. the Sthula, Sukshma, and Karana SharIras. He is Purandarah because He has torn apart these three and is the Atma beyond these three SharIras. The Dharma Chakram writer graphically explains that if we consider the Sthoola SharIra as belonging to Bhagavan and surrender it in His service, then He helps in overcoming our attachment to the Gross body. If we dedicate the mind to His service and to meditation on Him, He helps us to overcome our actions being controlled by our mind and pursuing the sense objects. Following the death of Tarakasura, who was killed by Kartikeya, his sons Tarakaksha, Vidyunmali and Kamalaksha undertook severe penances by which they pleased Lord Brahma. They requested Lord Brahma to grant them the boon of immortality. But, Lord Brahma refused to grant that boon saying that no one could escape death. They again sought to be blessed with impregnable fortresses, which would be everlasting. However, as Brahma told them that nothing could be everlasting, they requested that the destruction of the cities could be brought about by a single arrow only, on the hope that it was impossible for anyone to shoot such an arrow save Lord Shiva, of whom they were great devotees of. Brahma then blessed them that such fortresses would be constructed by the architect Mayasura, and that the three cities would be mobile and would move in such a way that they would never align in a single line, except for a few moments in around a thousand years, when the Nakshatra Pushya would be in conjunction with the Moon. They were thus reassured that they were quite safe, as it would be an extremely difficult task to destroy the three cities, which aligned only momentarily and that too by a single arrow. Asuras from everywhere began to flock to Tripura to live. The cities were extremely luxurious and prosperous. Indra and the rest of the Devas despondently approached Lord Brahma for respite, but Brahma looked at them meekly, it was because of his boon that the three cities existed and the Asura’s had become invincible. Shiva too turned them away stating that the Asuras had not performed anything wrong and hence could not be punished without any reason. The Devas finally resorted to Lord Vishnu and begged him to show them a way out. Lord Vishnu, the preserver, smirked lightly. “It’s simple. If they have not yet performed any sins, we just have to make them commit a few?” he suggested. The Devas looked confused. Vishnu smiled again and with his powers he created a man. The man had a shaven head and wore tattered clothes. In his hands he carried a water pot (kamandalam). The man approached his Creator, and asked, “O” great Lord, I am waiting for your orders”. Vishnu himself then taught the man and four of his disciples the intricacies of the new formed religion. They then resorted to forests near the Tripuras and started preaching the religion. Since Lord Vishnu himself had trained them, their act was a lot convincing. Even Sage Narada was confused and adapted to this new religion. In fact, Narada was the one who carried the news of this new religion to the court of Vidyunmali. Hearing the greatness of the religion from Narada himself, Vidyunmali took lessons from the teachers and began to observe the new religion. His two brothers soon followed suit. As they started practicing the tenets of the new religion, they forgot the message of the Vedas. They acted rashly and started waging wars against the Devas. The inherent evil tendencies of the Asuras surfaced and they began to oppress the good and torment the noble. In the meantime, Mayasura was engaged in the worship of Shiva. The rest of the demons attacked the sages and the Devas and shattered the peace of the three worlds. Lord Brahma redirected the Devas to Lord Shiva and also informed them of the vulnerability of Tripura to a single arrow. Lord Shiva promised to help them and the Devas returned to combat the Asuras in a mighty war. They were also assisted by Nandi, the leader of Lord Shiva’s Ganas. Even though Vidyunmali was slain by Nandi, and several other Asuras were killed in the war, they were revived by the water in the pool of Tripura, which had mystical powers. Day by day their atrocities increased. He ordered the Devas to prepare for the war. As the war raged on, Devas continued to struggle to match the Asuras, who used their magical powers to great effect in the war. Even Mother Earth began to slip from its place. Just as Brahma and Shiva were worrying about the Earth’s descent, the Protector god, Lord Mahavishnu, in the form of a massive boar, lifted the earth and restored it to its original place. Lord Vishnu then entered Tripura and drank dry, the pool of magic water that rejuvenated the dead Asuras. 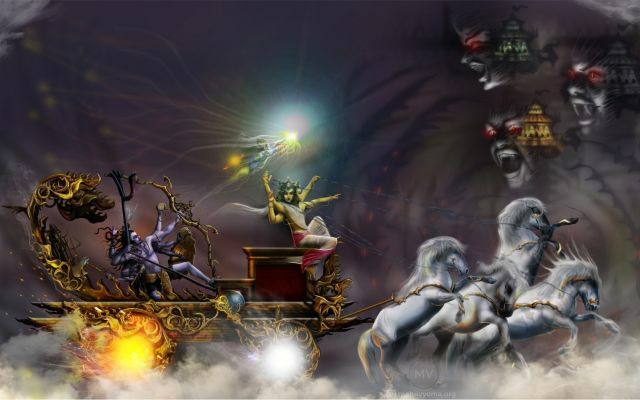 Lord Shiva ordered that a chariot be made from which he would battle the three demons. 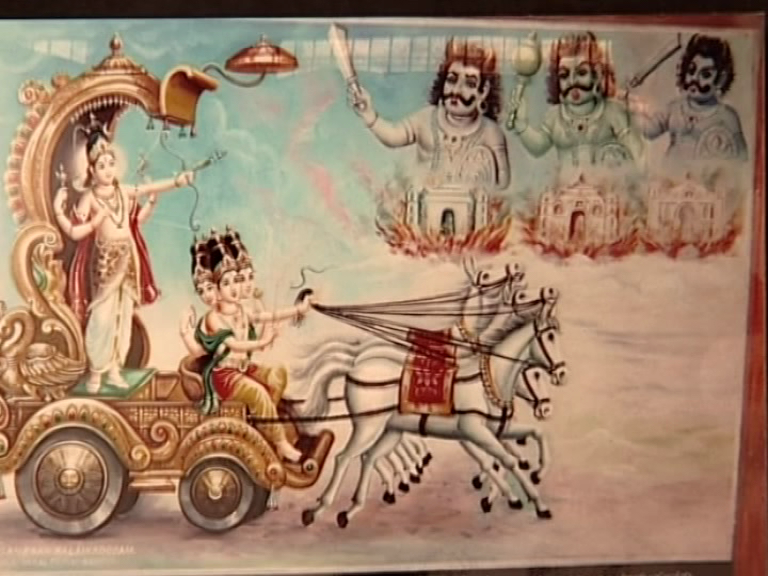 The war-chariot designed for Shiva was different. The Earth or Prithvi became the chariot with the Sun and Moon its wheels. Brahma was holding the reins. Mount Meru became the bow and the serpent Vasuki was the bow string. Lord Vishnu was the arrow, and Agni was the tip of the arrow. Vayu took his placement at the rear of the arrow. All other Devas took positions in their assigned parts of the chariot. The cities began to align, when the Pushya nakshatra positioned appropriately, Lord Shiva was about to string the mighty bow, Pinaka with the arrow, and in a split second shot it at the burning forts which were aligned into one. The impact of the “Cosmic Arrow” shattered the three forts of Tripura and reduced it to ashes, along with its inhabitants, the Asuras. This destruction of Tripura, led to the appellation of Bhagavan, who as Rudra and as the Cosmic Arrow destroyed the three Asuras in their three cities called the Tripuras and as a result famously known as Tripuraantaka. The temple town of Thiruvadigai near Banrutti in Cuddalore district celebrates of this destruction of the Tripuras, with the presiding deity “Veeratteswarar” The temple is built like a chariot to commemorate the chariot that Lord Shiva had ridden during the Tripura Samharam. He flows like nectar when dealing with his devotees as also dries up his adversaries like the wind hence He is called Skandah. He destroys the Asuras and other evil-doers. He supports or upholds the path of Dharma or Righteousness hence He is called Skandadharah. He bears the heavy load of creation and protection of all beings, hence he is called Dhuryah. 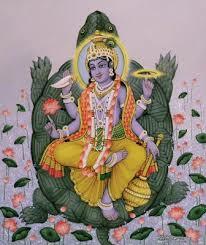 He bore the weight of the Mandara Mountain in His Kurma (Tortoise) incarnation, and so He is the Supporter. He is also the Supporter of the Universe – Bhuvana-bhrit. He carries the seven components of Vaayu or the Wind starting from Aavaha. He rides on and drives Vayu, the life-breath of the world. He lives everywhere and in all beings and also makes all objects and beings reside in him. He lives in the world making it live within Himself like a mother and also protects it by covering it like a bird that protects its young ones with its out-spread wings. He plays, He conquers, He is worshipped, He shines or He goes everywhere hence he is Devah. He is Vaasudevah because he is both Vaasu and Devah. He, whose great rays surpass the Sun, Moon, and others, and He who illuminates the Universe through them, is called Brihadbhaanuh. He is the Primary Cause or the Ultimate Cause of Causes. In addition He is Devah because of his brilliance and other divine attributes, hence He is the First Deity and called Aadidevah. Bhagavan, who as Rudra, and as the Cosmic Arrow destroyed the three Asuras in their three cities called the Tripuras and as a result famously known as Tripuraantaka. Hari Om, Balaji Uncle! I thank you very much for explaining in detail to my question. You have cleared all my doubts. Yes its true certain people are religious fanatics which leads to a lot of confusion among other believers. Its not only in our Hindu religion, this kind of problems exist in other religions as well. Thank you once again for your kind blessings. Hari Om! First of all let me congratulate you for your deep interest and study of the subject. You have shown a maturity and level of wisdom far beyond your age. Basically you don’t have to be surprised about the mention of Lord Shiva in Vishnu Sahasranama. It only goes to show the underlying unity of Hinduism or Sanatana Dharmam which is a better term for that. There are 2 approaches to realising God or the Bramhan in our religion. Either you can do it through Bhakti or Devotion to a specific extenal idol or visual image of the Supreme or you can do it through Jnana Marga or the path of Knowledge which is based on the formless abstract Being. The remarkable aspect of Vishnu Sahasranamam is that it caters to both the approaches. We have seen the name ‘Adrishyah’ which means one who cannot be seen. We have also seen the name immediately following ‘Vyakta Roopah’ meaning someone with a defined form. He is both ‘Anekamoorti’ (multitude of forms) and ‘Avyaktah’ (Formless). In terms of a defined form Vishnu Sahasranamam may seem to cater to one sect of Hinduism. But actually it embraces all sects. It has names like Shivah, Sthanuh, Purandarah,Nandi denoting Lord Shiva, names like Skandah and Guhah denoting Muruga and names like Arkah, Ravih, Savitaa and Sooryah denoting Sun God. In fact the universality of it goes even beyond Hinduism and embraces the universal concept of God common to all religions such as Anaadih, Anantah, Avyayah, VIshvam, Agraahyah, Shaasvatah and so on. Now your question is : why some people show aggressive behaviour in religion. It is basically out of ignorance of the higher concepts of religion. The king was obsessed with one particular physical form of the Lord and could not tolerate anybody believing in an alternative. Basically we should remember that the concept of a specifc form or image is just to enable us to focus our minds before we attain the ultimate enlightenment regarding the formless, nameless Bramhan. Ultimately Bhakti or Devotion will lead us to Knowledge and also lead us to qualities of tolerance, love and truth. This is well explained in Bhakti Yoga (Chapter 12) of Bhagavad Gita. Many people do not reach the stage of knowledge and are stuck in a state of blind fanaticism leading to violence and intolerance. We can only pray for them to be cured of their ignorance ‘because they know not what they are doing’. I think Sridharji is away to USA on business trip and he will give his views very soon on his return. Hari om Uncle! I liked the story a lot. It is very interesting to read about lord Shiva in Vishnu Sahasranama. How they unite to fight evil asuras. Why do people fight Uncle, even Chola kings fought I saw in the movie Dasavathaaram. Why even Koorathalwan and Mahapoorna was tortured for the same reason. Is it not foolish of the Chola king to do that? I am an Iyer girl but I go to Shiva temple and Narayana Temple and pray to both gods. I don’t understand why they have to differentiate. Can you please explain Uncle.